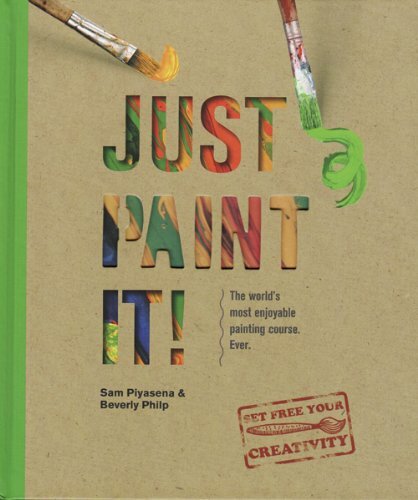 Sam Piyasena and Beverly Philp are back with another book to release the creative energy in you. I love their earlier book Just Draw It! which is equally as fun. This book focuses on the paint medium. Pages are beautifully laid out with projects, suggestions and examples on the types of art and styles you can create on your own. The content is suitable for all skill levels. As long as you have paint, paper and brush, you're good to go. The projects invite you to experiment and explore different techniques and ways of thinking. There are instructions to follow along, fundamentals are explained and occasionally there are featured profiles of artists who paint in the same style. The teaching style is casual and the main aim as I see it is really to have fun and enjoy making art.